@tan1337 pointed out that a simple search of “Twitter is” on Google spawns suggestions like — Twitter is down, Twitter is over capacity, Twitter is useless; we had to try it out for ourselves. 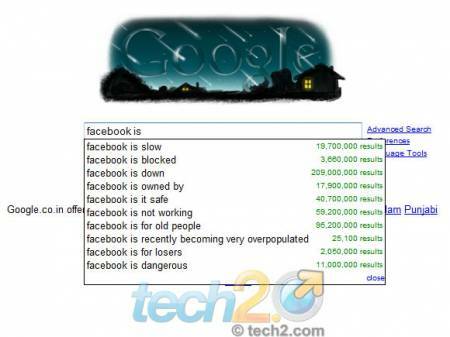 Sure enough, even on the Firefox Google search bar, we got the negative suggestions, as can be seen in the image below. We tried this out with Facebook as well, considering that it was the biggest competition to Google’s own Orkut. Sure enough, the results were equally negative. But was this really a bias, or were these actually the most widely used search parameters? There was only one way to find out. 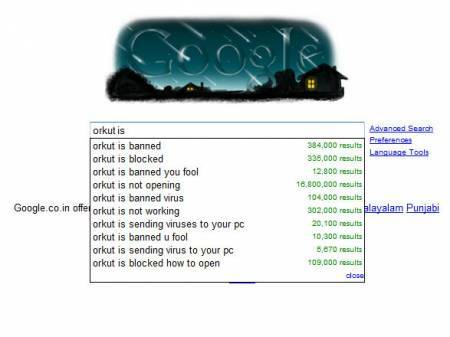 We did a search on “Orkut is”, and as seen in the image below, our doubts were cleared. What started as a shocking discovery, soon turned out to be a fun game. So is there any real bias in Google’s search results? Probably not. 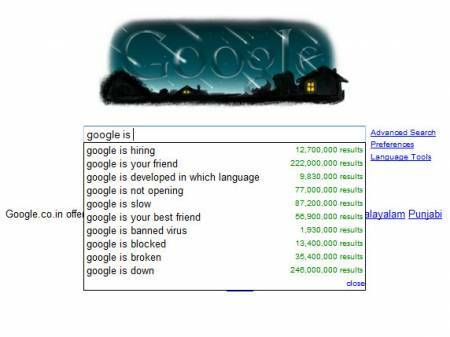 But to make things a bit entertaining, we leave you with a screenshot of our search on “Google is”. Previous PostFirst Crush Now on FacebookNext PostHello world!